"Perhaps no one in Europe has painted the extraordinary beauty of the sea with so much feeling and expressiveness as Aivazovsky has"
The Bank Austria Kunstforum will be presenting a premiere in spring 2011 - the breathtaking work of the Russian painter Ivan Konstantinovich Aivazovsky (1817-1900): Aivazovsky was a living legend, celebrated in international exhibitions and is today a household word in Russia. Yet he is for the most part unknown beyond his national boundaries. Aivazovsky was born in the port of Feodosia (today the Ukraine) on the Crimean peninsula. He studied painting at the Imperial Academy in St Petersburg and became court painter to Tsar Nicholas I. He was much travelled – he accompanied Tsarist military troops as a marine painter – but he was always drawn back to his home on the Black Sea. The elemental might of the sea is a central subject in Aivazovsky’s great oeuvre. For Aivazovsky, it is the ocean that nourishes all life, but which possesses cataclysmic power. The painter does not wish to show a freeze-frame of the subject, but far more express a generally applicable statement: the symbolism of a ship on the high seas is an allegory of human life. Becalmed, sun-and moon-reflecting waters alternate with billowing storm and turbulent spume. Forming an equal part of his repertoire are maritime coasts and land strips, urban views, ship manoeuvres, mythological scenes and gigantic wave pictures catapulting the beholder into the scene. Aivazovsky dashed light, water and air at a helter-skelter work tempo onto large-format canvases. He was often compared to William Mallord Turner because of this: the two artists did actually know each other’s work and held each other in high esteem. Like Turner, Aivazovsky did not work from nature but from memory. The waters in the deepest depths of the oceans have long been considered to be a place apart from the surface waters of the sea. But new research suggests these two levels of the ocean are more connected than previously thought. Swirling currents generated by winds at the sea's surface may reach deep enough to transport ocean-bottom waters — and the heat, chemicals and creatures that they carry — for hundreds of miles, a new study finds. "What's going on in the atmosphere can actually affect what is going on deep in the ocean, even though it's buffered [in the case of this study] by a mile-and-a-half of water," said Diane K. Adams, a biologist at the Woods Hole Oceanographic Institution in Massachusetts, who led the research detailed in the April 29 issue of the journal Science. 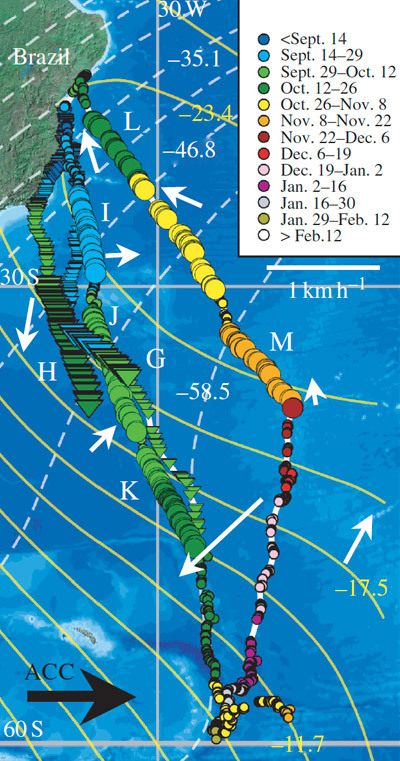 Adams thinks that the sky-to-seafloor connection is made by strong currents, called eddies, which are frequently spawned by winds gusting through mountain gaps and across the ocean's surface. The water formations can span hundreds of miles in diameter, resembling large water-borne tornadoes. While these whirling surface waters are well-recognized, many scientists have assumed that very little stirs in the dark depths of the ocean. Yet they also know that piping-hot hydrothermal vents on the seafloor somehow influence the composition of the entire ocean by dispersing calcium, magnesium and iron, among other chemicals. Similarly, larvae of snails, limpets and other marine species that rely on the isolated vents for life have been found to pop up at vents considerable distances apart. "This is an important phenomenon that requires explanation," said Paul Johnson, an oceanographer at the University of Washington in Seattle, who was not involved in the study. To shed some light on the mysterious dispersal, Adams and her colleagues set out in 2004 on a two-day, 500-mile (800-kilometer) journey off the coast of Central America. Once at their research site, they dropped instruments into the 1.5-mile-deep (2.4 km) water to monitor the currents and their contents. They made several measurements over the next six months, and then returned to the remote location in 2007 for more. Surprisingly, the team found huge drops in the flux of chemicals and larvae around hydrothermal vents at the seafloor coinciding with periods of extremely fast, dynamic currents. The team was not sure what to make of these currents at first. But in response to a colleague's offhand comment that the water's behavior "looked like an eddy," they began to study satellite data of the sea's surface. Sure enough, the images, and subsequent model simulations, tied the strong deep-sea currents to swirling surface eddies. "This could be the mechanism driving the long-distance transport of chemistry and biology that we were seeing," Adams said. "The larvae are produced at vents and generally stay near vents. But when eddies go by, they appear to send all the stuff that was in the vents into the ocean and potentially to another vent site." The researchers report that eddies typically appear seasonally and can be sensitive to atmospheric variations such as El Nino. While "not conclusive proof" that these eddies impact the distribution of seafloor hydrothermal vent larvae, Johnson said the new study's explanation is "very plausible." "If this process turns out to be more general than just at this site," he said, "it will help to dispel the incorrect assumption that the deep abyssal bottom waters are 'seasonless' and quiet." Hundreds of lawsuits have flowed from the Deepwater Horizon catastrophe, filed by citizens, states and the federal government. And someday, perhaps, the Gulf of Mexico’s ecosystems will also file suit. Environmental philosophers and other people say that biological communities — ecosystems, habitats, species and populations — have a right to exist. They’re not just valuable because they’re someone’s property. Environmental lawyers say courts should recognize this right, and could allow people to represent nature as legal guardians or trustees. Were nature’s rights recognized before the Deepwater Horizon wellhead blew, the destruction might have been avoided. In its aftermath, future disasters might at least be averted. If nothing else, pollution’s toll would be fully acknowledged in courts of law, not just public conscience. “There is room in our legal system to expand the concept of guardianship,” said Patricia Siemen, executive director of the Center for Earth Jurisprudence. Legal recognition of ecological rights was originally proposed in 1972 by University of Southern California law professor Christopher Stone, who floated the idea as an academic exercise but became convinced of its justification. To Stone, arguments against the intrinsic rights of animals and ecosystems to exist were no more coherent than historical arguments against the rights of foreigners, children or women. Stone’s landmark essay “Should Trees Have Standing?”, was derided by some scholars. “Our brooks will babble in the courts / Seeking damages for torts,” chided one attorney. Others embraced it, including Supreme Court justice William O. Douglas. It became an environmental rallying point, and influenced legal activism in the decades to come. In its modern form, natural rights are not usually framed in terms of individual creatures — though laws against cruelty to animals implicitly acknowledge their rights — but rather populations and ecosystems. In many ways, laws recognize those rights, too: The Endangered Species Act says that species have value. The Oil Pollution Act, which will guide the environmental assessment of Deepwater Horizon’s damage and ultimately determine what the U.S. government asks BP to pay for restoration, appoints various federal agencies as trustees of damaged Gulf habitats. But there are important differences between the trusteeship sought by natural rights advocates and the trusteeship of the Oil Pollution Act. Under that law, only federal agencies can represent the Gulf of Mexico’s nature. Meanwhile, the OPA’s trusteeship only kicks in after a disaster. 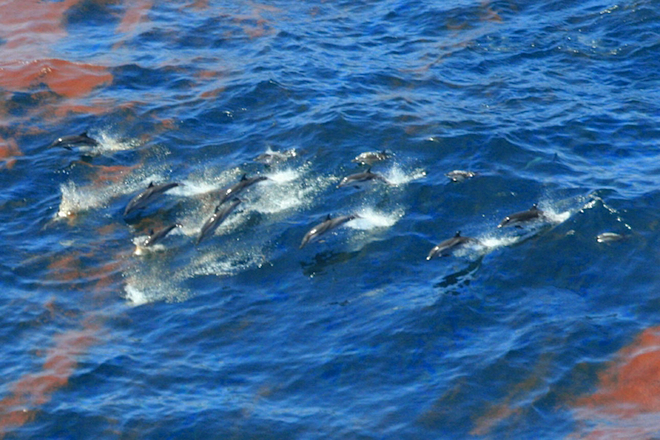 “Where natural rights would have the greatest influence in the context of oil and oil spills is before oil spills occur, when you’re trying to prevent damages from occurring,” said Kathryn Mengerink, director of the Environmental Law Institute’s Ocean Program. A natural rights strategy for Gulf citizens can be found in statutes drafted by the Community Environmental Legal Defense Fund, a nonprofit group that’s worked with dozens of Pennsylvania communities trying to restrict natural gas drilling and sewage sludge dumping. The statues explicitly grant towns and cities — most notably, Pittsburgh — legal standing to enforce the rights of ecosystems and natural communities. “The way that environmental laws work now, is that unless you experience direct harm, you don’t have legal standing,” said Mari Margil, the CELDF’s associate director. Similar statutes wouldn’t have allowed Gulf communities to stop deep-water oil drilling — indeed, many Gulf communities wouldn’t have wanted to stop it — but the statutes would have given the public a chance to participate in drafting drilling regulations. BP might not have been given a free pass. “The guardian for fish, for seagrass, for whatever might be granted, can be at the table where those regulations are drafted,” said Siemen. If Gulf communities became legal guardians for nature, they would also have recourse should the government’s estimate of Deepwater Horizon’s environmental damage prove low. This could happen if there’s political pressure to settle with BP, if the science becomes skewed by corporate or political pressures, or if some damages are simply overlooked. The spill’s deep-sea effects in particular may be underestimated, with assessments focusing on wetlands, shallow-water fisheries and other ecosystems that are both commercially valuable and relatively easy to study, said Cynthia Sartou, executive director of the Gulf Restoration Network. Under the Oil Protection Act, however, only state and federal government agencies can represent nature. People could hypothetically sue the federal government to do a better job, but it’s unlikely. “You are very limited in your right to sue. You are very limited in your right to even comment on what they do,” said Sartou. “In a system of natural rights, it wouldn’t simply be the federal government who has the opportunity to support those rights,” said Mengerink. Whether natural rights statutes will hold up in court remains to be seen. So far, judges have been inconsistent in their treatment of the idea, which has generally been advanced in connection to individual animals rather than ecosystems. One promising sign came from the federal Ninth Circuit court’s 2004 decision in Cetacean Community v. Bush, in which the court had to decide whether “the world’s cetaceans have standing to bring suit in their own name” in challenging the Navy’s use of whale-harming sonar. But Siemen warned that laws alone aren’t enough. “For a natural rights movement to be successful, there has to be a huge shift in our consciousness,” she said. AlterNet : If Nature had rights, would we need Earth Day? World's best-known ocean chartist in S'pore with a plan. Safer and more reliable: Mr Robinson showing a display console with electronic charts installed. This will be compulsory on all big vessels by 2018. After 200 years of charting the world's oceans, the United Kingdom Hydrographic Office (UKHO) has opened its first base overseas in Singapore, to be closer to the world's most important shipping region. The world of marine navigation is changing. Paper charts, used for centuries by seafarers to navigate their way to port, will soon sail into the sunset. The trusted maps from the days of the ancient mariners are being totally replaced by the 21st century's more precise and interactive use of digital technology, heralding a new era in navigation. And with the International Maritime Organisation (IMO) making it compulsory to switch from paper to digital charts by 2018, the world's most well-known chartist is opening shop here to meet the expected spurt in commercial demand for digitised charts, reported to be a market worth over $400 million. The UKHO produces the most widely used set of sea maps, under the brand name Admiralty. It has a series of 3,300 paper nautical charts and now has a growing portfolio of electronic navigational charts (ENCs). These charts are sold worldwide and used by nearly 70 per cent of international shipping. By 2018, driven by the IMO legislation, some 35,000 vessels have to switch to digital navigation, so that they can plot more accurate routes, more efficiently, reducing carbon emission and costs. 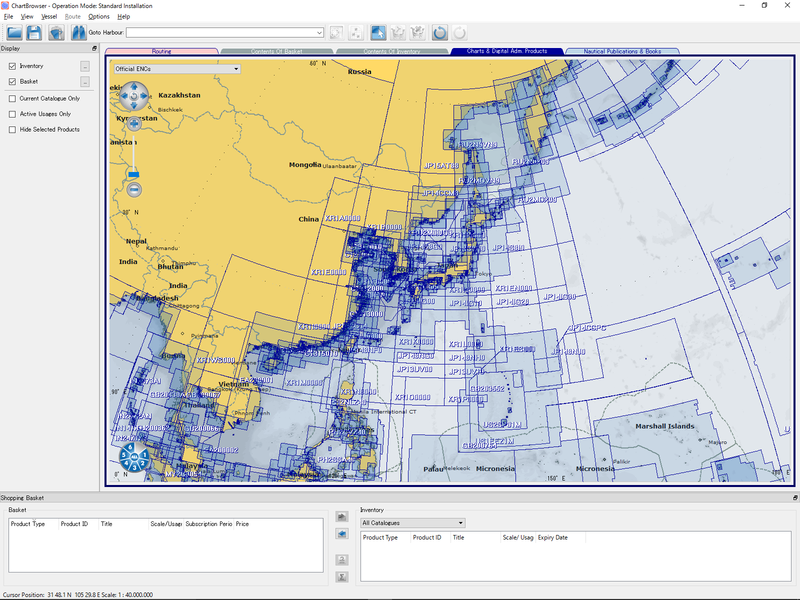 With newer vessels already switching to electronic navigation to take advantage of both safety and operational benefits, the introduction of IMO's ECDIS Mandate from next year will see demand for the electronic charts increase, and shipping companies need to change many key processes in order to make the most of the switch. IMO approved amendments to the International Convention for the Safety of Life at Sea (Solas), making it compulsory to fit the Electronic Chart Display and Information System (ECDIS). The amendments, known in the maritime community as the ECDIS Mandate, simply mean that all large passenger, tanker and cargo ships will have to fit electronic charts on a rolling timetable that begins next year. 'We are moving here to be able to work more closely with the world's largest maritime market, which plays a vital role in the shipping industry's successful transition to digital navigation,' said Mike Robinson, chief executive of UKHO. 'Eight out of the top 10 busiest ports in the world and the main shipbuilders are in Asia, so it makes business sense to be located here,' said Mr Robinson, in an interview with BT while he was here to officially open the UKHO Singapore branch during Maritime Week and Sea Asia. Asia, he said, also provides more merchant crew than any other continent, adding that the training of some 500,000 crew to use digital navigational equipment over the next six years is a major challenge the industry faces. 'It's hugely important for the UKHO to be in a position to easily engage with this vast and vibrant maritime community as the industry shifts to digital navigation. By establishing a base in Singapore, Admiralty will be at the heart of the conversation, and best placed to respond swiftly to the needs of our growing number of customers across Asia,' he said. With a base here, the Admiralty team will work with distributors across Asia and assist customers with advice and expertise on digital navigation strategy, besides providing product support. The UKHO is the leading supplier of electronic charts allowed under the Solas Regulations. 'We believe that ECDIS is a powerful tool which, in the hands of trained seafarers, can mean safer and more efficient voyages, and at the same time help protect the marine environment,' said Mr Robinson. The UKHO, is a government agency owned by the UK Ministry of Defence. The Singapore branch of UKHO has been registered as Admiralty Hydrographic Asia Pacific Pte, with an office at 1 Fullerton Road, Marina Bay. It is not known yet if hydrographic work on the seas in the region will be managed from Singapore. The results suggest a single migratory mechanism isn’t responsible. Instead, humpbacks may use a combination of the sun’s position, Earth’s magnetism and even star maps to guide their 10,000-mile journeys. “Humpback whales are going across some of most turbulent waters in the world, yet they keep going straight,” said environmental scientist Travis Horton of the University of Canterbury, whose team will publish their findings April 20 in Biology Letters. Humpback whales feed during the summer near polar oceans and migrate to warm tropical oceans for the winter, where they mate and calves are born. A one-way trip can last upwards of 5,000 miles, making the cetaceans one of the farthest-migrating animals on Earth. (One was tracked migrating 6,200 miles). 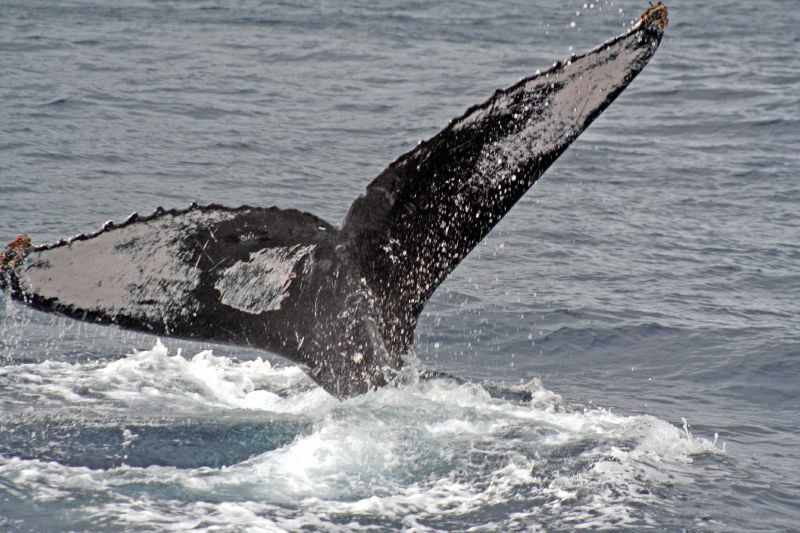 To better understand humpback migrations, Horton’s colleagues embedded satellite tags in seven South Atlantic and nine South Pacific whales from 2003 through 2010. Each tag contained a battery-operated transponder that beamed its location to the researchers. The tags lasted from four weeks to seven months before falling out; altogether, they provided one of the most detailed sets of long-term migratory data for humpbacks ever collected. “You can’t stick a large whale in a box like you can with a bird to study its migratory behavior. This is why detailed field data on whales is so important,” said research biologist John Calambokidis of the Cascadia Research Collective, who wasn’t involved in the work. “When we first starting seeing data, we thought, ‘Wow, these are really, really straight paths,’” said marine biologist Alex Zerbini of the National Oceanic and Atmospheric Administration, a co-author of the study who led the satellite-tracking effort. Satellite maps of nine humpback whales’ migratory patterns in the South Atlantic. Decades of research on long-range animal migrations has identified geomagnetic and sun-tracking mechanisms, but that work focuses primarily on birds. Humpbacks don’t seem to rely on either method alone. Earth’s magnetism varies too widely to explain the whales’ arrow-straight patterns, and solar navigation requires frames of reference that water doesn’t often provide. “The open ocean is an endless horizon of blue,” Horton said. Horton suspects humpbacks rely on both mechanisms, and perhaps the position of the moon or stars. His team is preparing to submit a second study on reference frames in marine mammals, birds, fish and reptiles. After publishing that work, Horton hopes to further investigate the humpbacks’ abilities. “These whales are clearly using something more sophisticated to migrate than anything we’ve surmised,” said Calambokidis. Time to go in the sea ! In the 4th century BC the Greek philosopher Aristotle travelled to Lesvos, an island in the Aegean teeming, then as now, with wildlife.